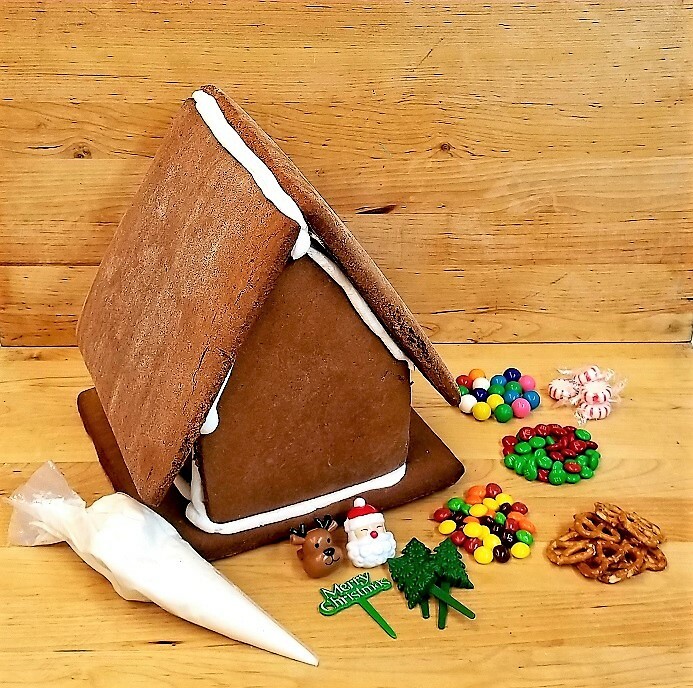 Take home your own gingerbread house kit! Create Christmas memories that will last for generations! Take home your own gingerbread house kit to decorate in the comfort of your own home. With our all inclusive gingerbread house kit, we provide everything you need to make your house special. Our Large Gingerbread House Kit includes a freshly made gingerbread house and three 1-pound containers of our Royal Icing. Our elves assort five different varieties of fresh candy for you and your family to decorate your house. The kit also includes a piping bag to use for small details such as windows, doors, and icicles. And because no gingerbread house would be complete without a few trees in the yard, your kit includes plastic trees and a fun Christmas message! Our Medium Gingerbread House Kit includes a freshly made gingerbread house and two -pound containers of our Royal Icing. Our elves assort five different varieties of fresh candy for you and your family to decorate your house. The kit also includes a piping bag to use for small details such as windows, doors, and icicles. And because no gingerbread house would be complete without a few trees in the yard, your kit includes plastic trees and a fun Christmas message! 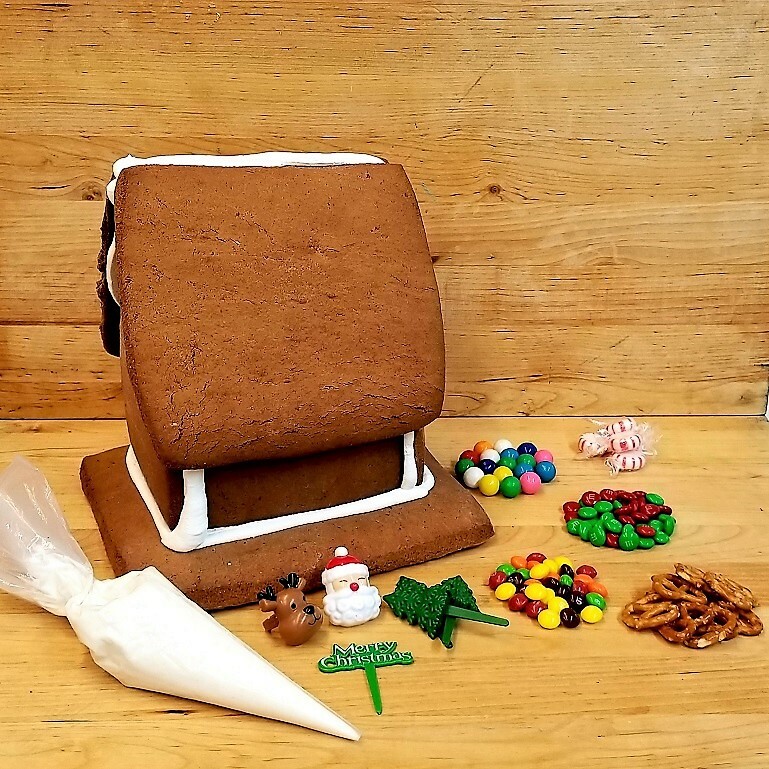 Our Small Gingerbread House Kit includes a freshly made gingerbread house and one pound of our Royal Icing. Our elves assort five different varieties of fresh candy for you and your family to decorate your house. The kit also includes a piping bag to use for small details such as windows, doors, and icicles. And because no gingerbread house would be complete without a few trees in the yard, your kit includes plastic trees and a fun Christmas message! 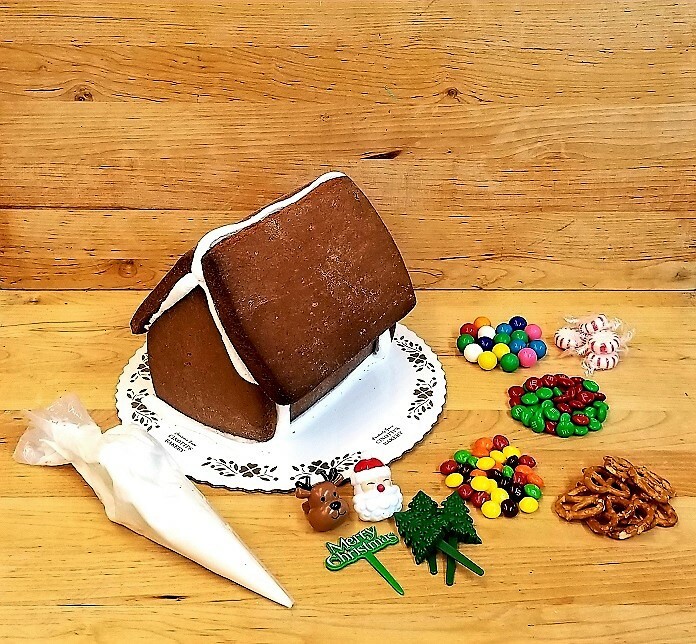 Why a Cinotti’s Gingerbread House Kit? Unlike big box stores, a Cinotti’s Gingerbread House kit is made fresh in our bakery each December. We use the same gingerbread formula that’s been handed down for generations. You won’t find preservatives in our houses or icing. Each house is carefully cut with handmade copper cutters by our skilled team of bakers. Once the gingerbread is set, our talented decorators assemble each piece. We will only sell our gingerbread house when it is completely dry and firm. This helps prevent falling and cracking. As always, we understand you have many choices when it comes to creating Christmas memories with your family and we appreciate your support of our family business. Don't stop with gingerbread, see all of our Christmas Traditions!